Cross and Cutlass: Hurry up, Baby Andrea! The winner of last week's drawing for a free copy of The Ransom is Melody!! Mission Wife Melody! Congratulations! I hope you'll consider picking up a copy. If you do and you enjoy it, I'd love it if you'd leave a good review. Thanks!! And now on a personal note: My daughter is going to have a baby next week! My very first granddaughter and I'm super excited. When my kids were young, we always rented instead of owned and we had no money, so I never got to decorate a special bedroom as a nursery or buy any cute children's furniture. 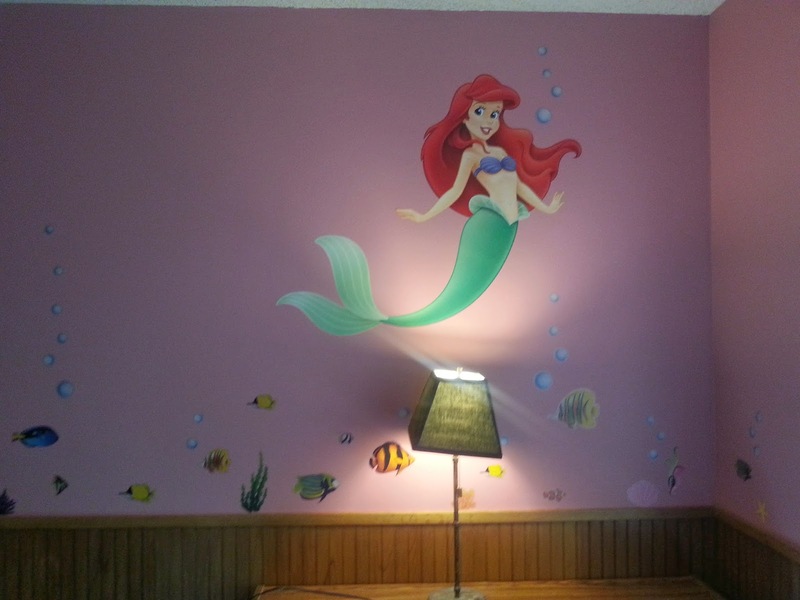 Finally we own our own home and have an extra room and I'm having a blast decorated it in an Under the Sea theme with an emphasis on The Little Mermaid. Here are some preliminary pictures of what I'm doing. 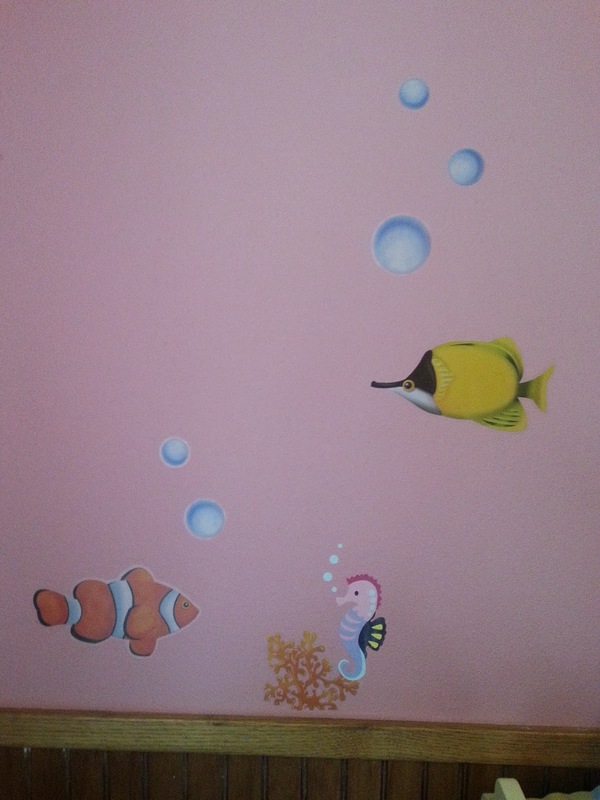 We painted the walls pink and I bought these wall decals of fish and mermaids! 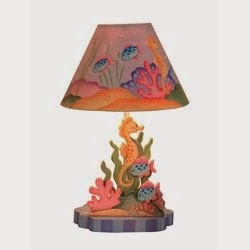 I also bough some adorable sea-themed furniture. 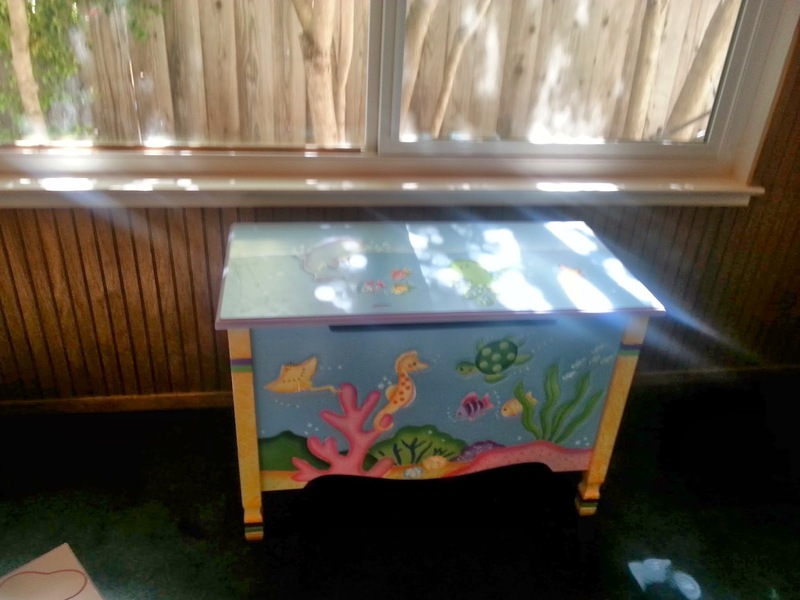 A toy chest and a book case upon which already sit 2 children's pirates books! 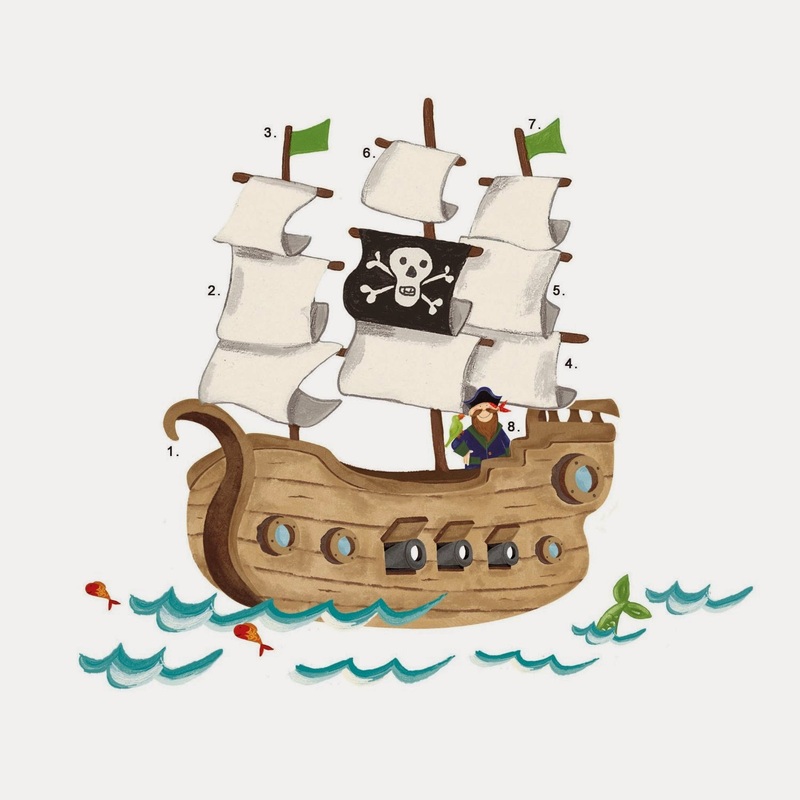 On the way, but not yet here is the following pirate ship sticker and ocean lamp. So, as you can see, I'm already enjoying being a grandma and she isn't even here yet. Hurry up, Baby Andrea!!! Grandma loves you! .Have a great weekend, everyone! Friday will be my official day to check your blog! Congratulations on the approaching arrival of your little girl, I hope you live close by. The one thing I miss dreadfully if being far, far away from my 7 grandkids. Thank You for the book - I can't wait! Congrats Melody! And MaryLu actually gets to babysit her new granddaughter! Oh, she is in for such a treat! Grandchildren are the best! Congratulations first off to "Melody", winning a copy of your new book. So glad to hear that the paperbacks are available now too .... good news. And, absolutely delighted for you, as you await "Baby Andrea's appearance" into the world !!! The room looks wonderful ! So much excitement .... hang on just a little longer, she'll be here before you know it, Grandma MaryLu ! Yes, you have a great weekend too .... one and all. 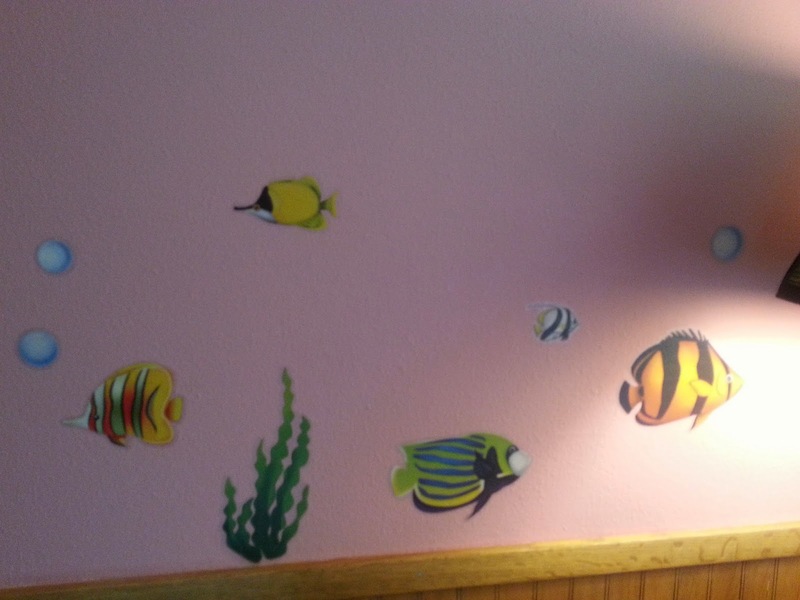 Oh I love the fish and all the decorating that you have done too the room it's so pretty. Congratulations on being a grandma. I simply adore this bedroom, MaryLu! I can just envision you holding Baby Andrea in your arms, standing in her special room.....a HUGE smile on your face and mayhaps a tear in your eye. Yes, emotions will take over once you hold that baby in your arms. For me, it was so different from when I held my children for the first time. If you think about it, that baby you will be holding is YOUR baby's baby. :) Hugs and God bless! I think the room looks fantastic so far! I love the lamp and the shelf! Hi MaryLu, I just finished The Ransom in the wee hours of the morning! Actually, I just read all 4 pirate books back to back and loved them all! But the Ransom was my favorite! I love Alex and the fiery Juliana! I really really didn't want it to end even though it was 1am lol! Hoping for more pirate books as I just can't get enough of your writing! Hi Eva!! Wow, you put a huge smile on my face today! I'm thrilled you enjoyed The Ransom. I LOVED writing Juliana and Alex's story! Thanks so much for letting me know. Yes, I hope to write more pirate books! I've got an idea cooking about Rowan, actually, so we shall see. ;-) Thanks again! I was hoping you would write a story about him! He is in much need of redemption! Poor guy has just been emotionally battered, would love to read his story! After 4 pirate books in a row, I'm having a hard time adjusting to real life! I'm somewhere out in the Caribbean at the moment, well my heart is anyway lol. You and me both, Eva. :-) I'm much prefer a tall ship on the Caribbean to real life! 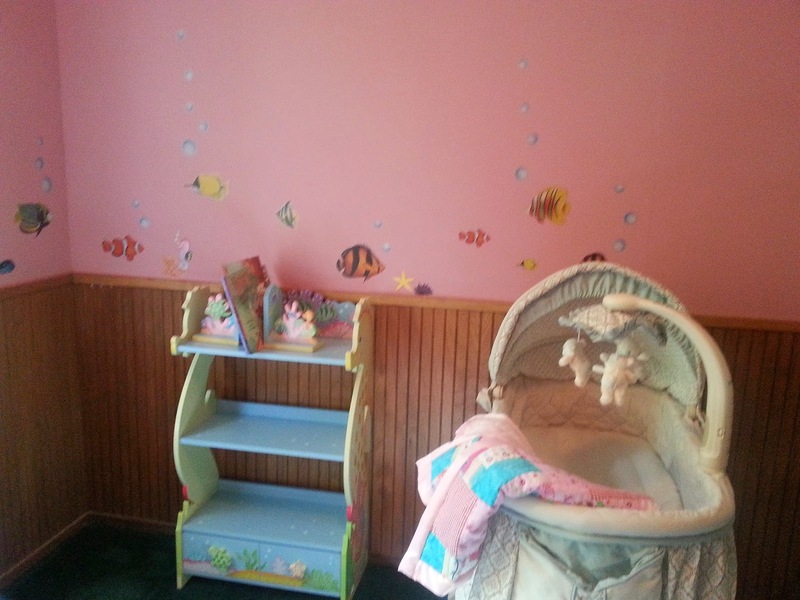 Oh, MaryLu - the baby's room is adorable!! I'm so excited and thrilled for you - grandchildren are an indescribable joy!! Have fun with Andrea! !